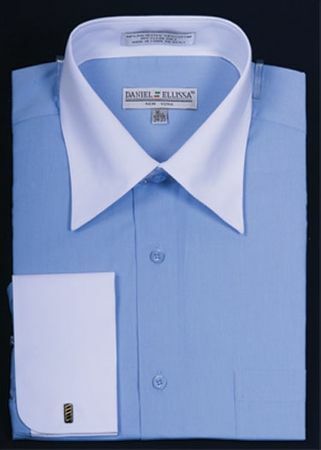 Add some spice to your style with some blue and white dress shirts by Daniel Ellissa. Blue and white dress shirts with the contrasting all white collar and all white french cuffs are always an easy way to add some serious zest to your wardrobe. This blue and white dress shirts features the matching white french cuffs for a very classy and sophisticated look.